Whether you opt for an Apple iPad or one of many Androids, choosing the right media-consumption tablet isn’t necessarily a snap. Here’s what you need to know before you hit the store. It’s difficult to remember a time before tablets, but it’s been three short years since the originalApple iPad hit the scene, and the current tablet market was born. Since then, we’ve seen scores of manufacturers trying to snag a slice of the tablet pie, which so far, has been dominated by Apple, now on its fourth iPad iteration. Growth is so rapid in the segment that some analysts claim tablet sales are set to outpace laptops this year. There’s no denying that the tablet is here to stay. First Off: Do You Even Need One? Simply put, tablets aren’t really filling any true need—even three years in, they’re still neither replacements for computers nor smartphones. While you can tackle productivity tasks on a tablet, you won’t get a desktop-grade operating system, like you’ll find on a PC. Plus, since we’re talking about slates here, we’re talking about on-screen keyboards. Of course, there are plenty of worthy add-on hardware keyboards, especially for the iPad, but few will provide the same comfort you’ll experience with a laptop or a desktop. The main focus of the tablets we’ll discuss here is media consumption, not productivity. If you want a slate or convertible tablet for work, take a look at the top-rated Windows 8 tablets we’ve tested, but be prepared to pay laptop prices, many run around the $1k mark. Tablets do have advantages over both laptops and phones, offering a more portable way to check email, browse the Web, video chat, watch movies, listen to music, and play games than your laptop can provide, but with a bigger screen than on your smartphone. Even so, you probably don’t need one, but if you want a tablet, read on. Just like with a full-fledged computer, if you’re getting a tablet, you need to pick a camp. And just like with a computer, your decision will likely come down to your gut feeling. Right now, the top two contenders are Apple with its iPads and iPad mini, and Android with its many hardware choices from the likes of Acer, Amazon, Asus, Barnes & Noble, Google, Samsung, and others. Microsoft recently entered the race with its Surface$349.00 at Microsoft Store tablet, running Windows RT, a slimmed-down version of Windows 8, which runs on mobile devices with ARM processors. We’ve also seen RT-based tablets from Asus, Dell, and Lenovo, but overall, the platform hasn’t really taken off, with some vendors like HP and Samsung canceling RT-based tablet releases to focus on Android and Atom-powered Windows 8 models. Google’s mobile OS, Android, is a more complicated story. Besides having your choice of hardware from several manufacturers, at any given time, there are a few iterations of Android floating around on various devices. The latest version, Android 4.2 (Jelly Bean), is the best yet, with maximum configurability, a top-notch notification system, fast, smooth Web browsing, and seamless integration with Google applications like Gmail, Google Maps, and Google Talk for video chat. The latest Android version also adds support for multiple user logins so you can share your tablet with a friend or family member, a useful feature that’s missing in Apple tablets. The only problem: Right now, you can only find Android 4.2 on Google’s own Nexus tablets and a small handful of others including a couple of Transformer models from Asus. What’s a tablet without quality apps? If you want every third-party app under the sun, right now, nothing out there beats the iPad with its 300,000+ programs and games designed specifically for Apple tablets. The App Store is well-curated and monitored, offers a deep selection, and includes every popular app you can think of. If a wide range of compelling apps that look good and work well your tablet is your main priority, Apple is your best bet. Android has made some strides on app selection in the past year, courting more developers and offering more high-quality tablet apps, but its still nowhere near the number Apple offers. It’s tough to say exactly how many tablet-optimized Android apps are available, but it’s likely in the thousands, rather than the hundreds of thousands. There are also Android phone apps, which look decent on a 7-inch tablet, but not a 9- or 10-inch one, so you’re likely to have more problems getting high-quality apps for larger Android tablets. This consideration is a bit obvious, but size—both screen real estate and storage capacity—is important to consider. First things first: When you hear the term “10-inch or 7-inch tablet” this refers to the size of the screen, measured diagonally, and not the size of the tablet itself. 7-inch tablets are considered small-screen, while 8.9- to 10-inch tablets are considered large screen. Apple iPads, Google Nexus tablets, Amazon Kindle Fires, and B&N Nook HD tablets all come in both small- and large-screen iterations. Samsung, for one, wants you to have multiple choices, so it offers its Android tablets in multiple screen sizes (10.1, 8.9, 8.0, 7.7, 7.0 inches, and even a phone/tablet hybrid, the Galaxy Note II with a 5.5-inch display and a stylus). Screen resolution is important too, especially for ebook reading and Web surfing. A sharp, bright display is key. 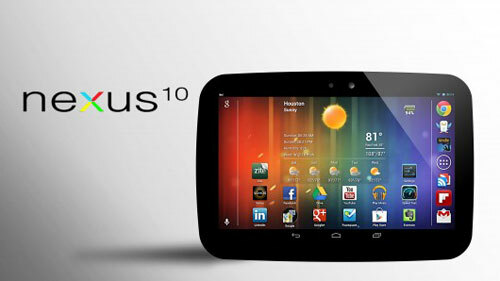 Right now, the Google Nexus 10 is the sharpest you’ll find with a2,560-by-1,600, 300-pixel-per-inch resolution. The fourth-gen iPad$499.00 at Apple Store with its 2,048-by-1,536-pixel (264 ppi) Retina display is no slouch either. If you’re in the market for a 10-inch Android tablet, look for a display with at least a 1,280-by-800 resolution. 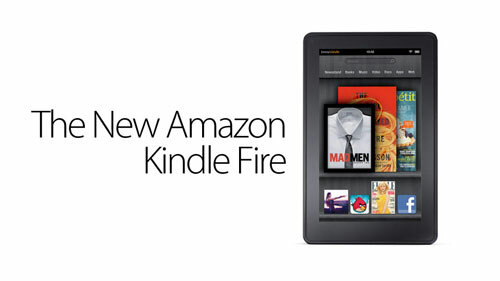 For 7-inch models: The Amazon Kindle Fire’s display is 1,024-by-600, and is perfectly viewable, even for ebook reading, but line it up side-by-side with the same-sizeKindle Fire HD’s 1,280-by-800 screen, and you’ll definitely notice the difference. The weight of a tablet is one definite advantage it has over a laptop—but let’s be clear, at around 1.44 pounds (in the case of the latest iPad) it’s not cell-phone light. This is true for small-screen tablets as well. After you hold one with a single hand on a subway ride for 20 minutes, your hand will get tired. Setting it flat in your lap, rather than propped up on a stand, can also be a little awkward. And few tablets will fit in your pocket, unless it’s a extra large jacket pocket. Cloud storage is an option for many tablets (iCloud for iPads, Amazon Cloud Storage for Kindle Fires, and SkyDrive for the MS Surface tablet are a few examples), but when it comes to on-board storage, more is always better. All those apps, when combined with a typical music, video, and photo library, can take up a lot of space. Right now storage tops out at 64GB of flash-based memory, with most of the tablets we’ve tested available in either 16, 32, or 64GB varieties. Larger capacity models can get as expensive as full-featured laptops, though—the 64GB Wi-Fi-only iPad rings up at $700, add 4G service, and you’re up to $830. 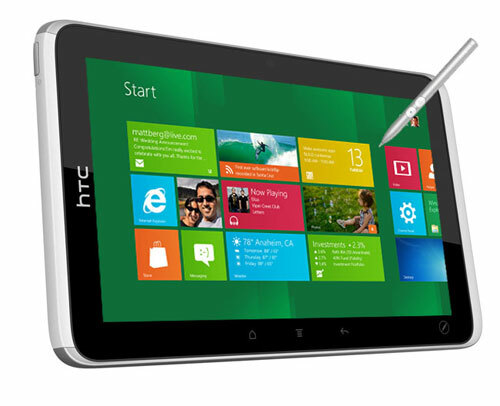 A few Android tablets have microSD memory card slots that let you expand storage; the Surface has one as well. Many tablets come in a Wi-Fi-only model or with the option of always-on cellular service from a wireless provider. If you want to use your tablet to get online anywhere, you should opt for a model with a cell radio, like the aforementioned fourth-gen iPad, iPad mini, or the Amazon Kindle Fire HD 8.9$244.00 at Amazon. Of course, this adds to the device’s price, and then you need to pay for cellular service. Generally, though, with a tablet, you can purchase data on a month-to-month basis, without signing a contract. Another way to get your tablet online: Use your 3G or 4G phone as a Wi-Fi hotspot for your tablet—this won’t work with every phone/tablet combo, so you should check with your carrier before you seal a deal. Finally, before you buy, if you can, head to your local electronics store to get hands-on time with some different tablets, so you can see which feels and works best for you.